Ed Sheeran has revealed his injuries from Monday’s biking accident are much worse than first feared. The 26-year-old singer was hit by a car on Monday morning while cycling through the streets of London. Posting a photo on Instagram of his arm in a sling, Ed appeared to have broken his right arm. I’ve had a bit of a bicycle accident and I’m currently waiting on some medical advice, which may affect some of my upcoming shows. 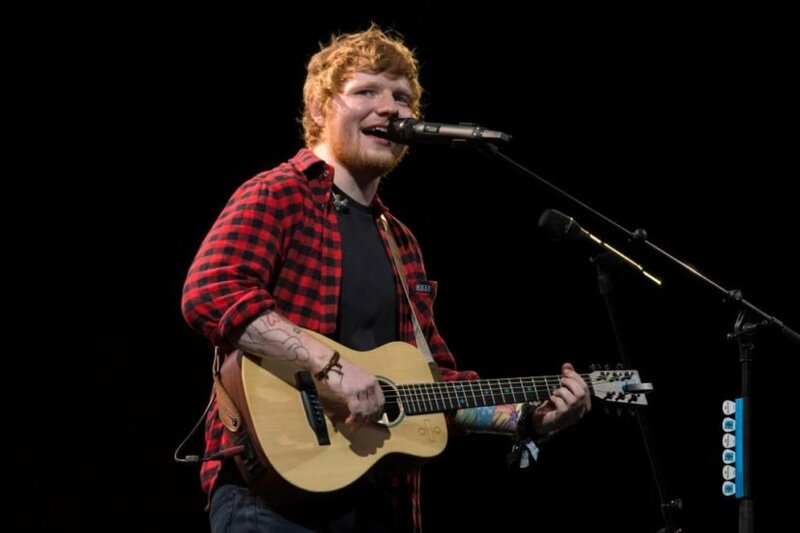 Unfortunately for fans who were hoping Ed would have a speedy recovery, the singer has revealed on Instagram the full extent of his injuries and this is now unlikely to happen. And not only is it bad news for Ed, but for the thousands of fans planning to go to his live concerts as they are now cancelled. The singer was later spotted looking downcast leaving hospital with both arms in slings. As if his day wasn’t bad enough, some ‘fans’ slammed Ed for cancelling the gigs, unable to hide their distress that they would not see their man main in action. So you let down all these people that have paid to see you just because you did that. I’m so disappointed. I thought the concert was okay because you can stand and sing even though without playing guitar… The fans have been excited to see you for ages. Soooo…. did you break your legs as well!?! And also, I was unaware you’re the only one who can play your tunes on guitar #justsayin. Come on guys, he did get hit by a car and has damaged both of his arms! It isn’t exactly Ed’s fault! Ed’s gutted he won’t be making these shows. Ticket holders are encouraged to wait for further information about upcoming shows and rescheduling. So hold onto your horses before you complain. Ed recently finished the US leg of his tour and was looking forward to touring Asia. His dates in Taipei, Osaka, Seoul, Tokyo and Hong Kong have been cancelled.